A California version of the Idaho Stop Law that would have allowed bicyclists to treat stop signs as yields is dead on arrival at the state legislature. The bill’s sponsor, Big Bear Assembly Member Jay Obernolte, pulled AB 1103 off the docket following a harsh review at its first committee hearing on Monday in the face of opposition from the usual auto-centric suspects, who can’t seem to grasp that it only legalizes what most bike riders have done for decades. And the sky hasn’t fallen yet. KCBS-2 reports classmates of Ciara Smith wore bright colors to school today to honor the 13-year old girl killed by a Metro bus in Redondo Beach on Friday. At least one parent blames her death on misaligned crosswalks, which are a result of the single diagonal handicap ramp, rather than two separate ramps that would line up with the crosswalks. In order to turn or cross the street, her bike would have angled out into PCH, exposing her to traffic. Which means the city could be ultimately responsible for placing a higher priority on reducing costs rather than improving safety. 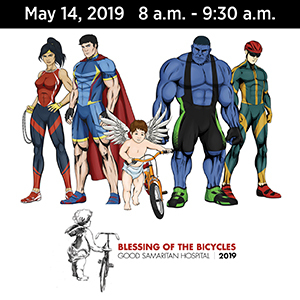 This year, the annual Ride of Silence to remember fallen cyclists falls right in the middle of next week’s Bike Week, between Tuesday’s Blessing of the Bicycles and Thursday’s Bike to Work Day. 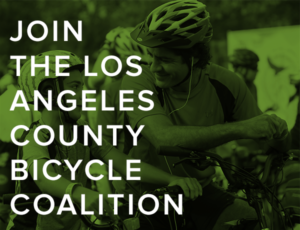 There will be two Los Angeles rides this year, the traditional Pasadena Ride of Silence beginning at the Rose Bowl, and a new North Hollywood ride sponsored by the LACBC beginning at the Metro station. There will also be rides in Orange, Ventura and Riverside Counties, so you’re likely to find one near you. No doubt feeling the need to get a jump on LA, the Bay Area will celebrate its Bike to Work Day this Thursday, with 10,000 people expected to participate. Meanwhile, OC will celebrate with Bike to School Day tomorrow, Bike to Work Day next Tuesday, and a Bike Rally next Thursday. You can find a calendar of LA-area Bike Month events on the Metro website, while the LACBC offers their own very crowded Bike Month map. Still more in the ongoing CD1 saga. LA Downtown News says Joe Bray-Ali has a chance in next week’s CD1 election, even if it’s a million-to-one. Streetsblog’s Sahra Sulaiman uses the Bray-Ali story to challenge bike and safety advocates to examine our own biases, saying the approaches and narratives of the Livable Streets community can silence voices on the margins. And there’s something seriously wrong when the incumbent blocks the LA Times transportation writer on Twitter for no apparent reason. If you’ve been watching the Giro, you may have wondered about those black sticks under the rider’s seats. The ex-winner of the 2005 Vuelta will get his title back, along with $794,000, after Spanish courts threw out his positive test for EPO. Chris Froome’s high-speed tuck may not be aerodynamic as everyone thought. Newcomers won the Redlands Bicycle Classic in a pair of upsets. And speaking of upsets, this RBC rider probably was when a drone sent him over the handlebars. Metro’s long-delayed Hollywood Bike Hub is finally scheduled to open next Friday. Streetsblog reports on Downey’s three-mile open streets event this past Sunday, while Rancho Cucamonga is hosting their own open streets even this Saturday. Newport Beach will be conducting a pair of bike and pedestrian safety enforcement days on Wednesday the 17th and Monday the 22nd. By now you know the drill; ride to the letter of the law until you cross the city limits so you’re not the one who gets ticketed. San Diego is facing another lawsuit from a man injured while riding his bicycle on a broken sidewalk, just weeks after paying out $4.85 million to settle a similar case. Oakland cuts the ribbon on the city’s first protected bike lane. Or rather, make that its first curb-protected lane. Another Sacramento bike rider was bitten by a leashed dog on the American River Parkway, after a rider was bitten by a loose dog from a homeless encampment last week. I want to be like him when I grow up. An 80-year old Idaho man plans to ride 100 miles in a charity ride this Sunday; he didn’t take up riding until five years ago following a double knee replacement. Then again, I’d settle for being able to ride 80 miles when I’m 100. A Denver bike cop will retire, less than a year after he finally was able to return to work following critical injuries when he was hit and dragged half a block by a driver who suffered a seizure. Denver drivers are up in arms over a nine-second delay in travel times due to a new road diet and protected bike lanes on a major commuting corridor, as the city reprioritizes its transportation policies to make room for everyone. This should be required reading for everyone at LADOT, the city council and the mayor’s office. No bias here. An Omaha NE bike rider gets the blame for crashing into a police cruiser whose driver apparently cut him off on the sidewalk. The LAPD officers participating in the first Hollywood Memorial Ride to honor fallen officers have made it to Nashville TN. A New York writer describes what it’s like to join 32,000 other riders in a one-day journey through all five of the city’s boroughs. A Brooklyn judge has ruled that a bike-riding lawyer can proceed with his case against the city following a crash with a pedestrian on the Brooklyn Bridge. A Louisiana driver is brought to justice by another bike-riding lawyer in the first application of the state’s anti-harassment law. Los Angeles has had an anti-harassment measure on the books for nearly six years, but I’m not sure if anyone has actually used it, let alone received a settlement. No justice in the death of rising Canadian cyclist Ellen Watters, who was killed in a collision during a training ride last December. A Toronto writer says Vision Zero won’t become reality because it’s written in a report, but only when it’s written in the streets. British bike historian Carlton Reid uses Google Street View to rediscover the country’s lost and abandoned WWII era bike paths. A writer for the Guardian comes to terms with the death of famed endurance cyclist Mike Hall, counting himself among the lucky ones to have been inspired by him. The Philippines has a five point action plan to cut traffic deaths in half by 2020. Oddly, reducing driving rates isn’t one of them. The world may be coming to an end, but at least your bike has less bacteria than what passes for a bike at the local spin club. If you’re already high, carrying a controlled substance and riding the bike you just stole, maybe you should try obeying the damn traffic laws. And who needs toilet plungers for a DIY protected bike lane when you’ve people? So far, Mayor Eric Garcetti has talked a good game when it comes to bicycling. But as a recent Op-Ed by Bike the Vote LA’s Michael MacDonald made clear, he’s failed to translate that talk into paint on the street. Let alone protected bike lanes. In fact, implementation of the city’s hard-fought bike plan has fallen precipitously since former mayor Antonio Villaraigosa left office four years ago, from a high of 251 lane miles — a single side of a roadway — to just 17 lane miles in the last fiscal year. Although it should be pointed out that sharrows were included in Villaraigosa’s total. 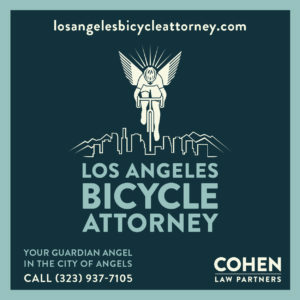 Now Streetsblog’s Joe Linton is offering advice on what Garcetti can do to make LA bike friendly, with nearly 23 miles of bike lanes and road diets that could be implemented right away, along with another 30.8 miles that could be easily converted from bike lanes to protected lanes. That’s if Garcetti is serious, of course. I would have included Hollywood Blvd in that list, which desperately needs safety improvements to protect the millions of tourists who visit the Walk of Fame every year, as well as providing a much needed east-west route for local bike riders. In fact, there’s not currently a single safe route in or out of Hollywood in any direction. A situation that will only get worse when the Metro Bike bikeshare arrives within a few years. LA cyclists have long supported Eric Garcetti, both during his time on council, and in his run for mayor four years ago. It’s time he returned the favor. While the LA Times has virtually ignored the subject, the Times-owned San Diego Union-Tribune has taken the lead on covering California’s consideration of the proposed Idaho Stop Law. Today, they offer a pair of dueling Op-Eds on the matter. The executive director of the San Diego Bicycle Coalition says it’s smart policy for California to adopt an Idaho Stop Law. Meanwhile, a former Oceanside councilmember says it would be bad for kids who lack the judgment to make those quick decisions — and says it’s really about Strava users not wanting to stop, anyway. She makes a valid point about kids. Although there’s nothing that says you can’t come to a full stop if you want, which might be a better option for kids under driving age. This law isn’t so much about the spandex-clad than it is the everyday riders who are faced with the prospect of choosing between dangerous traffic-clogged streets on their commutes or recreational rides, or taking side streets where they’re forced to stop every block or two. And while riders would be allowed to treat stop signs as yields, they would still be required to slow down and observe the right of way, and yield to opposing traffic when appropriate. In other words, pretty much what most drivers already do. DTLA’s Mumford Brewing now has a barrel-aged brew named after the legendary Eddy Merckx. Just because. Talk about a great looking poster. 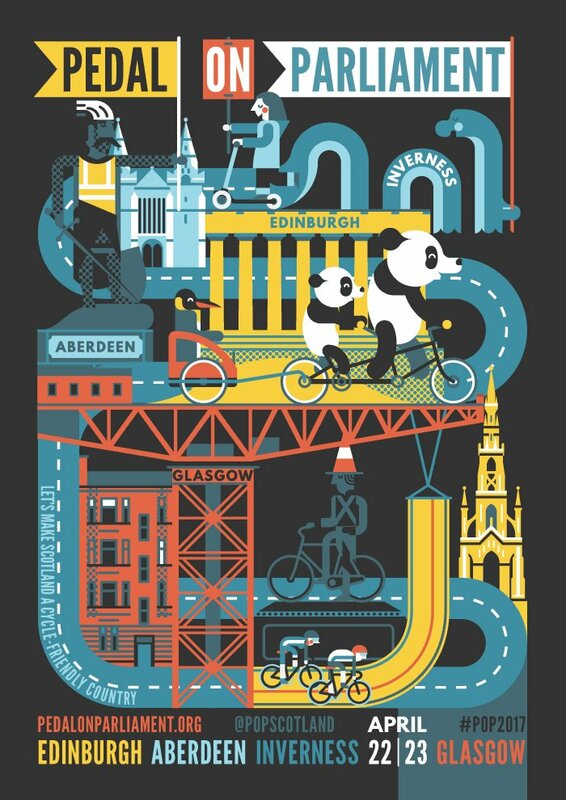 This is for Scotland’s Pedal on Parliament campaign, something we might want to seriously consider replicating here. Belgian’s one-day Dwars Door Vlaanderen cobble classic made its first appearance in the UCI WorldTour on Wednesday; American rider Kiel Reijnen appeared to avoid serious injury when the peloton squeezed him off the road and into a ditch. A 55-year old British amateur cyclist was banned for doping, but at least he had an excuse. Former pro Phil Gaimon suggests that podium girls be replaced with podium puppies. Now there’s an idea we can all get behind. And clean up after. How to get your bike, or other possessions, back if you leave it on a Metro bus or train. Not that you would ever do that, of course. The Argonaut says the future has two wheels, as it looks forward to Sunday’s Culver City to Venice CicLAvia, as well as efforts to make Mar Vista safer and more inviting to people walking and on bikes. Pasadena will hold a meeting tonight to discuss the city’s proposed Climate Action Plan. Which should include a heavy reliance on walking and bicycling to help get people out of their cars. An OC supervisor has a massive homeless camp along the Santa Ana River Trail removed. And judging by the riprap installed in its place, doesn’t want it to return, either. An Arizona couple describe what its like to watch their cell phones, IDs, credit cards and cash go up in smoke when a newly purchased ebike caught fire on the sand in Newport Beach. Carpenteria will host its first Open Streets festival on April Fools Day, closing over a mile of downtown streets to motor vehicles. Santa Barbara is already getting started implementing their 2016 bike plan, with three new projects set to open by this summer. Unlike, say, a certain city to the south. Still more bad news from up north. Fresno police are investigating Tuesday’s hit-and-run death of a bike rider as a homicide instead of a traffic collision, suggesting they have reason to believe the death may have been intentional. The Mercury News looks at why people in San Jose are reluctant to bike to work. Spoiler alert: They’re afraid of cars. An El Cerrito couple got more than they bargained for when they left a bike in their yard with a “free” sign, and retuned home to find the bike gone, a man in their backyard, and their home burglarized. San Francisco moves to regulate app-based, Chinese-style bikeshare systems. Oakland city commissioners are angry that bikeshare plans didn’t include bikes for people with disabilities. A Napa Valley letter writer asks why the woman who right hooked him in a rush to get to church didn’t care enough to stop or find out if he was okay. Now you, too, can ride dressed like the Simpsons. Bicycling wants to help you master the art of the paceline. Which will undoubtedly come in handy for your next bike train commute. Now that’s more like it. A Nevada man faces up to 40 years in prison following his conviction for fleeing the scene after crashing into an 11-year old girl who was riding her bike in a Reno trailer park; he was twice the legal limit when he was arrested. The same crime in California probably wouldn’t result in more than a few years, if that. A bike-riding Denver letter writer reminds drivers that you’ll get home a lot later if you hit someone. The University of Iowa profiles a bicycle-riding associate who’s using her fellowship to learn how bike safety research can influence public policy and improve rider safety. Houston approves a new bike plan calling for nearly 1,800 miles of bikeways, adding to the current 500 miles of lanes and trails, half of which are separated from traffic in some way. Grieving family members release balloons to honor a Little Rock AK man killed by a wrong way driver as he rode his bike last week. Nice gesture, but never release balloons — especially Mylar ones; stick with a ghost bike instead. Two years after Memphis yanked bike lanes off the city’s Riverside Drive due to complaints from motorists, they’re planning to try again. Pittsburgh bicyclists would rather share the road with a robot than with a human being behind the wheel. And who can blame them? Ten young cyclists have been chosen to follow the infamous 950-mile Trail of Tears from Georgia to Oklahoma. Mississippi’s 444-mile Natchez Trace Parkway will soon be getting Bikes May Use Full Lane signs, as well as signs telling drivers to change lanes to pass bike riders. Tern isn’t just about foldies anymore. A bike industry news site looks at ten cities around the world that are building bicycling into everyday life. None of which are Los Angeles. Or in North America, for that matter. Nice gesture from the builder of LA’s StoopidTall Bike, who’s in Cuba with 30 pounds of bike parts to help a man’s quest to set a new record for the world’s tallest bicycle. Don’t ride your bike in an anti-social manner in the UK. Former Brit heavyweight champ Tyson Fury is one of us, riding a bike with his daughter in a child seat as he talks about making a comeback, after losing his titles following a failed drug test. A British bike rider gets six years, eight months behind bars for slashing a man across the face with a box cutter when the victim asked him for a cigarette. Chinese bikeshare is booming, and it’s headed your way. And so are efforts to scam users out of their money. India and Bangladesh attempt to build peace through bicycles, with an 11 day joint military ride through both countries. A San Francisco writer goes on a bicycle tour of New Zealand looking for an actual kiwi, and comes up empty. But discovers the journey was really the whole point. 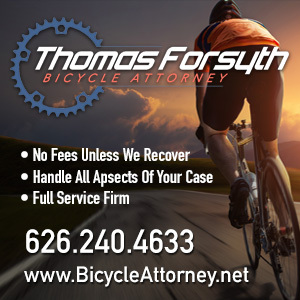 Aussie riders call for new laws protecting bicyclists from having items thrown at them from passing cars, as well as prohibiting tacks and other items left on bikeways; as it is now, someone who leaves tacks on a bike path usually faces nothing more than a littering charge. Chances are, you can’t afford a two-wheeled Bugatti, either — or ride it around the block, for that matter. Who needs a bike lock when you’ve got a rattlesnake? And if you’re going to steal a bicycle from a former Marine, don’t leave yours behind. And if you do, don’t come back for it.